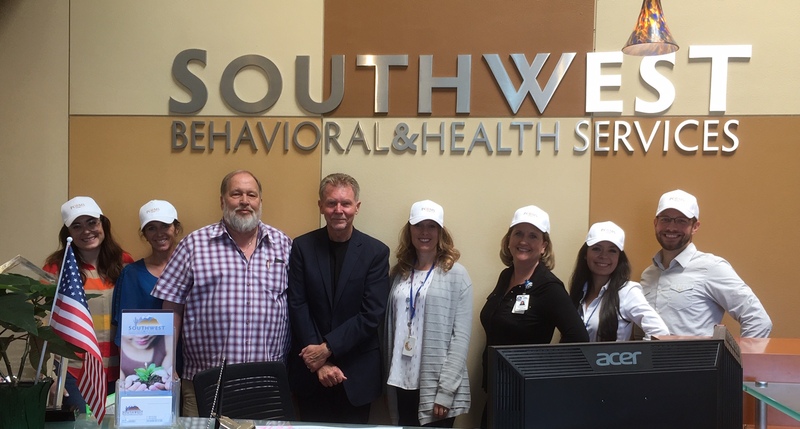 Last week I had the great privilege of visiting one of the earliest adopters and implementers of PCOMS, Southwest Behavioral & Health Services (SBHS), and its champion and all-around superstar, Dr. Bob Bohanske. SBHS implemented PCOMS (then CDOI) in 2004 after Dr. Bohanske and colleagues attended the 2004 Heart and Soul of Change Conference in Austin, Texas. They used the original articulation of PCOMS (Duncan & Sparks, 2002) to conduct a pilot, and after some fits and starts, fully implemented by 2007. SBHS and Dr. Bohanske ultimately hosted the Heart and Soul of Change Conference in 2008 and demonstrated that PCOMS delivers in the real world of public behavioral health via three benchmarking studies with youth (Kodet, Reese, Duncan & Bohanske, in press;), adults (Reese, Duncan, Bohanske, et al., 2014) and with clients in acute care inpatient treatment (Reese, Duncan, Bohanske, et al., 2017). Each of these landmark studies demonstrated outcomes comparable to those achieved in randomized clinical trials, providing a compelling counter story to what is often said about effectiveness in public settings. SBHS is one of the largest successful implementations of PCOMS in the world. In addition to these scholarly demonstrations of PCOMS effectiveness and the ongoing recognition of his advocacy for quality at all levels of practice and training (e.g., his recent APA Presidential Award), Dr. Bohanske and SBHS (The Training Institute) offer cutting edge training that incorporates PCOMS and the values associated with client directed, recovery-oriented services—a unique training experience to be sure. 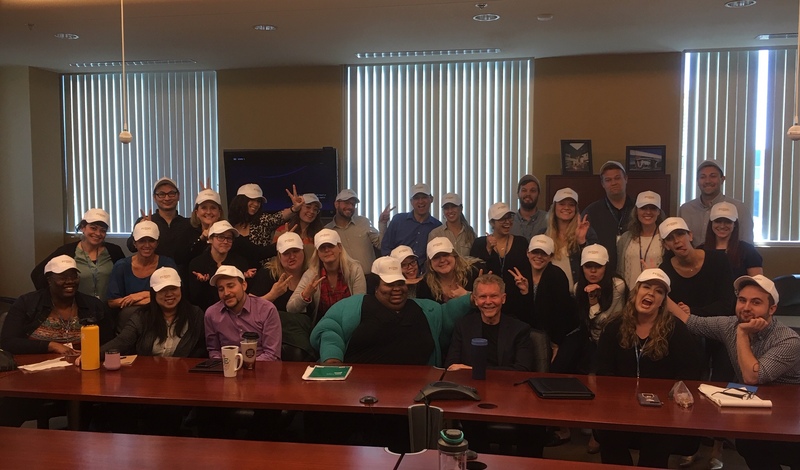 The Training Institute is the largest APA approved Public Health Program in North America, with 24 Pre-Doctoral Interns, 12 Post-Doctoral Residents and 10 Doctoral Practicum students. Pictured above are the faculty of this very distinctive training site: left to right above are Dr. Rielly Boyd, Dr. Laurie Cessna, Dr. Bob Bohanske, me, Dr. Wendy Bunn, Dr. Lynette Livesay, Dr. Francia Day, and Dr. William Marsh. The hat symbolizes their long-time adoption of PCOMS. It was a great pleasure to present to folks committed to quality care and understanding how PCOMS can help them get there. I only wish that more training sites had the vision and commitment of Dr. Bob Bohanske and his faculty.